Looking for that perfect floor plan with everything you need on one level? 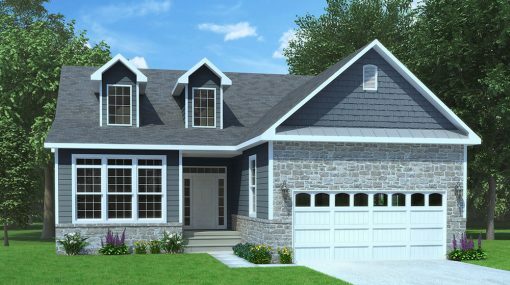 The Nicole model is a modern home with a great layout. 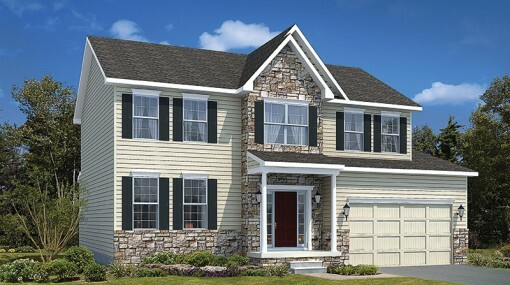 When you enter the home from the porch, a foyer awaits with access to the dining room and kitchen. Or, enter the home from the large two-car garage into the laundry room and put your things in the extra wide closet. As you enjoy your meals and fellowship in the dining room, with an elegant raised ceiling and sunlight beaming through the windows. The kitchen offers an island setup with a sink and dishwasher, plenty of convenient cupboard space and a modern and stylish look. The breakfast nook to the side is great for your morning routine as you take in the view of the outside through the large windows. 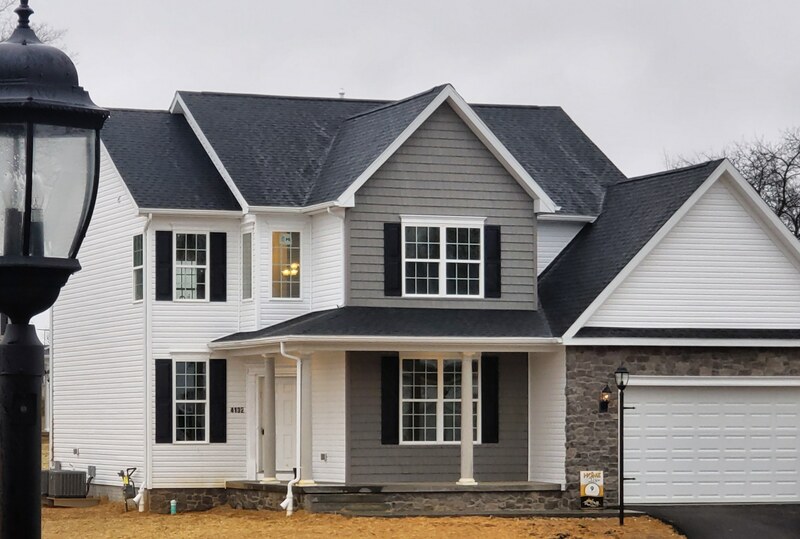 The owner’s suite is just off to the side of the family room, with a luxurious tray ceiling, walk-in closet, and a full bath with a modern ceramic shower and a soaking bathtub. Two additional bedrooms and a full bath are located down the hall from the kitchen, each containing large wide closets and double windows. If one floor wasn’t enough, this home also has a basement under the entire home with a two piece rough in and an area way. This home is perfect for narrow lots and anyone who enjoys one-story living~a must see!